Internet trolls have declared war on American grassroots hubs, and now the problem is spreading north. In the late fall, a friend anxiously explained to me how the online message board 4chan has evolved. When it first started in 2004, it was an open, free-thought avenue — mostly for anime nerds. But over a decade later, it has become a hotbed for ultra right-wing, misogynistic, white supremacist ideas and activity. My friend has been receiving news from her friends in the U.S. that their grassroots, do-it-yourself art and music spaces have been directly shut down through 4chan. Members of the anonymous internet forum have declared DIY spaces as spawning grounds for radical leftist ideas that are threatening America's freedom. 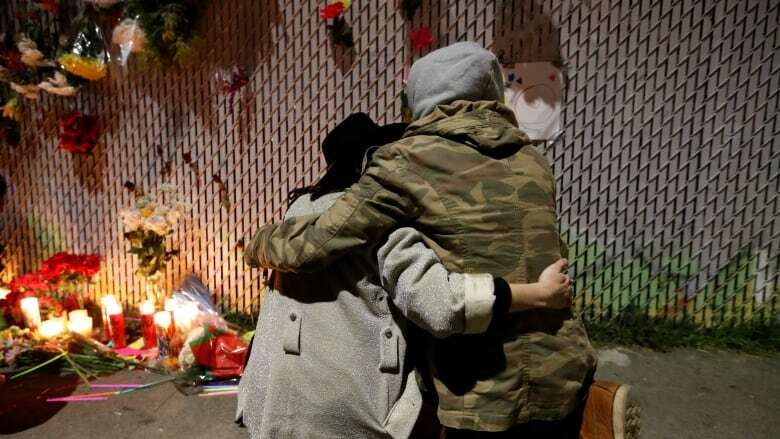 Using the Ghost Ship tragedy in Oakland as a front to support their case, 4chan users have been calling local fire departments and reporting DIY venues as safety hazards to the public. Upon inspection, many of these small art hubs have fallen short of meeting city safety codes and have been forced to cease all activity. Hearing about the closure of DIY spaces in America has been heartbreaking. However, from my forward-looking home of Toronto, it all seemed like a distant sci-fi story. But on January 10, this vigilante wave hit Toronto: one of the city's rare DIY spaces was shut down. A 4chan member called the fire department, citing the art hub as unsafe; the fire department came for inspection and prohibited the organizers from continuing operations. A sample of the 4chan discussions surrounding DIY spaces. Like most DIY art and music spaces, this one (which I will keep unnamed) was a community-driven initiative that was centred on providing a platform for underrepresented cultures. Instead of being propelled by making money, DIY venues are motivated by artistic appreciation and experimentation. They are places where people of colour, folks from the LGBTQ community, people with disability, women, youth and other marginalized demographics can express themselves or congregate feeling safe from discrimination. They are spaces where those failed by mainstream culture can present or see art that they relate to. For 10 years, this hidden community gathering space has been one of these beloved places, servicing a distinct cross-section of Toronto — myself included. Even if you've never heard of them, the loss of these little venues is a loss for arts and culture in Canada and beyond. While some DIY spaces are set up precariously, most are conscious of safety and accessibility — as soon as the Ghost Ship incident happened, a safety protocol document was devised and circulated as a reference for anyone running a DIY space. Further, because these small venues are often operating with limited budgets, organizers do everything they can to maintain their hard-to-find, affordable locations. Lately, many artists in Toronto and beyond have been evicted from their homes, studios and venues. Big corporations have taken over their spaces to build condos or high-end corporate infrastructure. I have a few friends in this situation who have been struggling to find reasonably-priced places to live or work. (Desperately seeking a new studio, one of my friends has resorted to cold-walking into industrial places, seeing if the trades workers there will rent space out to her.) It is becoming increasingly difficult to secure affordable spaces in urban centres. For most DIY venues, the risk of making any mistakes is too high. Organizers of DIY venues would happily bring their spaces up to city bylaw standards, but most of the time, renovations would just be too expensive. The reason why these DIY spaces are so affordable to begin with is because landlords are basically renting out unwanted real estate. Anyone would have to invest tens of thousands of dollars to make these places suitable for a formal business. Shows and exhibitions in DIY spaces are commonly made accessible with no one turned away for lack of funds, so admission prices are on a sliding scale of $5-10 or pay-what-you-can. Capacity is not usually more than 100 and the small amount of money made goes directly to artists and to paying rent. When DIY venues get inspected and don't meet city standards, they typically have to be shut down since art collectives can't afford the necessary renovations. Though DIY spaces are built by and directly serve a marginal part of society, they are the birthplaces of new artistic ideas. When mainstream venues — more concerned about ticket and bar sales — reject emerging artists, DIY venues are there to save the day. You might not know it, but a lot of your favourite artists and musicians got their starts there. DIY spaces are where progressive ideas develop and emanate from. I've never seen inclusion, diversity and free open thought considered the status quo more than I have in places like this. It sounds absurd. It sounds like a scary movie. But organized intolerance from internet trolls now has a direct impact on our communities. I'm not entirely sure how to move forward, but there must be big and small ways that we can protect our DIY spaces. Maybe we should maintain DIY venues' privacy so that they don't receive too much public attention, or perhaps we need to create better infrastructure for small-scale art and emerging artists to thrive. In an unprecedented move, Oakland's mayor just announced a $1.7 million pledge to protecting DIY spaces. Even if you've never heard of them, the loss of these little venues is a loss for arts and culture in Canada and beyond. CBC Arts has respected the author of this column's request to have it be published anonymously.